New glitter facemasks, winter jackets, and a few other things you can treat yo' self to this month. 1. A solid, warm, and comfortable winter jacket you can wear through all the unpredictable weather. Winter can be a magical time of year — the holidays are in full swing, everyone feels festive! But it can also be the coldest time of the year — like miserable, see your breath, you-will-freeze-to-death-if-you're-not-careful cold. Making now the time to buy everything you need to be cozy and comfortable, starting with a new winter jacket. Investing in a solid coat that you can layer and wear easily through any unbearable weather will make it a little more bearable. 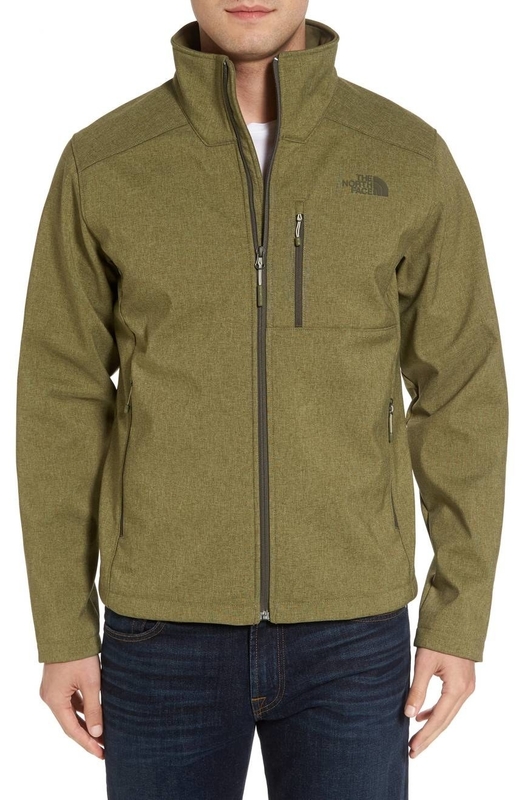 Get them from Nordstrom: the Patagonia jacket for $199 (available in women's sizes XS-L and in four colors ) and the North Face jacket for $149 (available in men's sizes S-XXL). 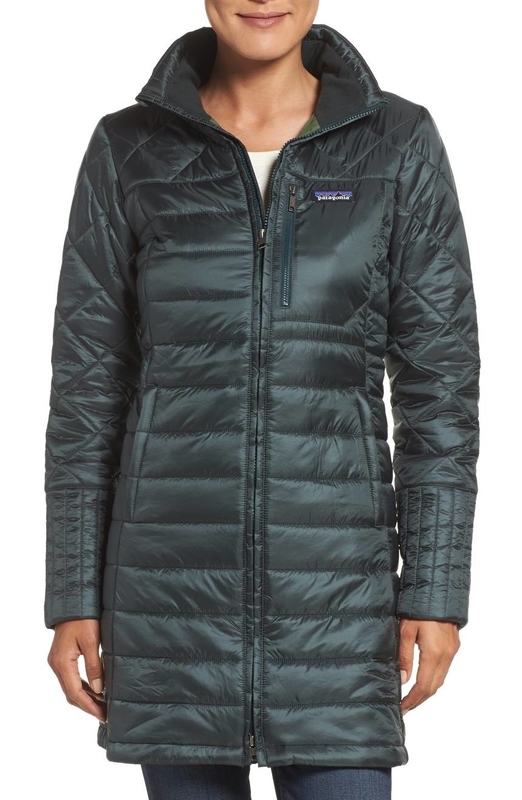 Look through Nordstrom's full selection of performance winter jackets and coats here. 2. A firming glitter mask, because maybe you don't want to leave your house on New Year's Eve but that doesn't mean you don't want to be festive. GlamGlow makes the best, more Insta-worthy masks out there and this one is no exception. Using ingredients like Teaoxi Complex (which is made using licorice and marshmallow leaf) their #Glittermask will not only make you sparkle (like, literally) it'll make your skin’s contours feel firmer and look more defined after one use. Just paint it on, let it dry, and in a few minutes peel it off to see your skin looking tighter, toned, and more lifted. Get it from GlamGlow or Sephora for $69. 3. A gift card to your (or their) favorite retailer to spend after the holidays — when everything gets marked down. December is a great month for gift cards. Not only do they make easy and practical gifts but they're actually the most preferred gift. It probably doesn't hurt that after the holidays, retailers slash prices on many of the things you would have purchased anyway. If you give a gift card instead they'll be able to get a little more bang for your buck! Get this Amazon gift card starting with a $25 value. 4. A stunning hand-crafted ornament for bringing in the holidays and adding an heirloom to your family's yearly traditions. Ornaments are a great way to celebrate the holidays and commemorate the year. They become an heirloom that holds the memories of years past, and this Waterford Crystal snowflake ornament is no exception. Mouthblown and handcrafted, this year's charming design was inspired by friendship and the love, companionship, and loyalty that should be celebrated through during the holiday season. Get the 2017 Waterford Crystal Snowflake Wishes friendship ornament from Neiman Marcus for $75. And explore all their beautiful ornaments here. 5. A fanciful and sparkling piece of fine jewelry, because sometimes everything that glitters IS gold — and on sale. During the month of December, you'll find some of the best deals of the year on diamonds and pearls — even better then you would on Black Friday or during Valentine's Day sales, making it the perfect time to think ahead for gifts or splurge on something sparkly for yourself. 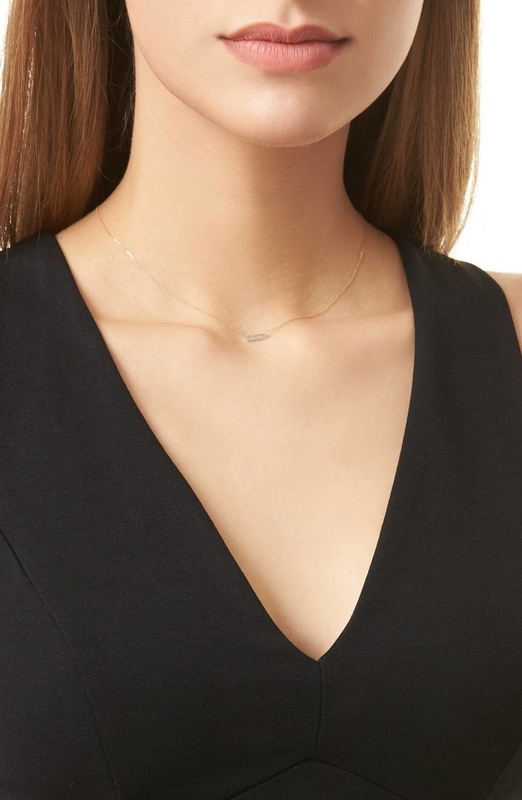 Get this diamond bar pendant necklace from Nordstrom for $176 (originally $220). Available in three types of gold. 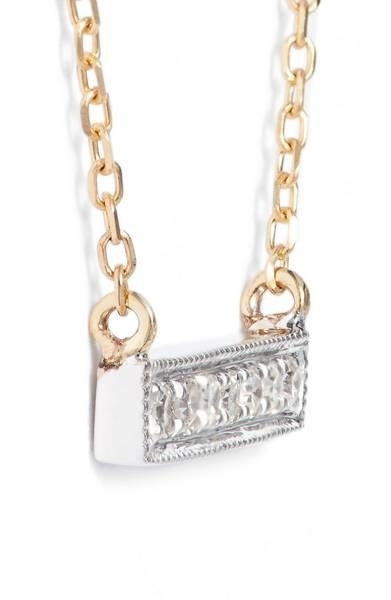 Check out Nordstrom's full selection of fine jewelry here. 6. A bottle of expensive AF bubbling champagne to celebrate the New Year — or to drink whenever you damn well want. Many retailers will put bottles of sparkling wine, champagne, and prosecco on sale just in time for everyone's festivities — making it a great time to stock up on the good stuff! 7. A 65-piece homeowner's toolkit with everything you need to get those little projects taken care of around your house. Tools are a great gift for the DIYers and Weekend Warriors on your list, and retailers know it. Considering the colder months make home improvement projects slow down, stores are looking for a way to sell through inventory. You'll find great deals on some of the best tools during the month of December, so if you're looking to check some people off your list, or just buy some essentials for yourself, now is the time to do it. Get this 65-piece Stanley homeowner's tool kit from Amazon for $42.99 (originally $49.99). Or explore all the tool options Amazon has here. 8. A really awesome toy, because Santa's a busy guy and could maybe use the help. There is probably about a 100% chance you're gonna be buying toys this holiday season. They're an easy, fun, and very much coveted item during the month of December. So if you're looking to go a little wild on a bunch of new toys and games be on the lookout for sales! Retailers tend to knock prices down and give special promotions to encourage you to pick their selection from the sea of options. Get the R2-D2 app-enabled droid from Amazon for $125.17 (originally $179.99). Check out Amazon's Holiday Toy Shop here. You can even search by age! 9. A lavish cashmere travel set just in case you're gonna be taking a long voyage home. Look, a lot of us travel back home for the holidays and those flights can be long, uncomfortable, and just plain miserable. Why not invest in a few little things that'll make you feel like you're flying first class. This soft AF set includes a cashmere blanket, eye mask, socks, and a luxurious little pouch to carry them all in. Get it from Amazon for $149.50. Available in three colors. 10. A really delicious and beauty-full box of chocolates, because life is like a box of chocolate — you're always gonna need a good red lip. This adorable box of beauty and fashion-themed chocolates make a great gift (or treat to yourself). It's filled with nine uniquely designed pieces including, two dark chocolate handbags, two dark chocolate lipsticks, two dark chocolate heels, one white chocolate tile, two dark chocolate mini-cubes, and one milk chocolate lip that might just be too pretty to eat. Get it from Neiman Marcus for $44. 11. A lavish golden candle that'll fill your home with all the lovely scents that make the holidays so great. Jonathan Adler makes some of the best home decor, if not the best (IMHO), and his candles are no exception. Filled with scents that'll make your home smell like crisp winter air, pine and evergreen trees, winter berries, cinnamon, clove, and a hint of winter snow, this candle will let you travel to the most magical time of year even if you decide to light it in the Spring. Get it from Jonathan Adler for $38 and explore more options on Amazon. 12. A 12-piece set of golf clubs complete with driver, fairway woods, hybrids, irons/wedges, putter, and a super convenient stand bag. Chances are most golfers don't hit the links as often when the cooler months roll in, but retailers are looking to clear out their inventories before the new year and the release of new lines. So they mark everything down, making December a great time to invest in a new set of clubs. Get this 12-piece Callaway Strata golf club set with bag from Amazon for $175.96+. Available for right- or left-handed players. Sorry, what? I was too busy buying that glitter facemask!